China announced Wednesday that users of blogs and chat rooms will be required to register their names with operators and promise in writing to avoid challenging the Communist political system, further tightening control over Internet use. The announcement follows what technology companies say are official efforts in recent weeks to block virtual private networks that are used to circumvent China's extensive Internet filters. China has the world's biggest population of Internet users with 649 million people online but increasing censorship has chilled the popularity of social media. 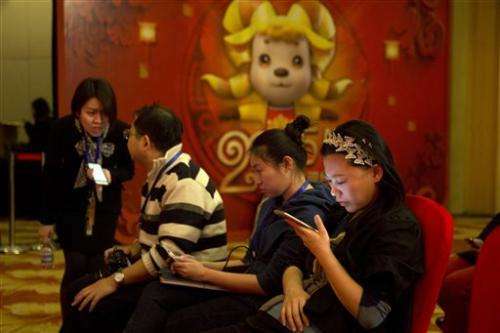 Beijing has required Internet companies since 2012 to obtain real names of some users. But compliance was uneven and the rules failed to specify what services were covered. The latest announcement extends that "real name" registration requirement to blogs, microblog services such as the popular Sina Weibo and website comment sections. Such settings offer many Chinese their only opportunity to express themselves in public in a society in which all media are controlled by the ruling Communist Party. The rules also require Internet services for the first time to have users sign a contract that includes a pledge to refrain from "illegal and unhealthy" activity. Wednesday's announcement affirmed an earlier prohibition against posting material deemed a threat to state power or national security—terms the ruling party uses to describe opposition to Communist rule. It said operators will be required to deactivate accounts of violators. The ruling party encourages Internet use for business and education but tries to block material deemed subversive or obscene. Beijing regularly launches new censorship initiatives to respond to changes such as the growing popularity of social media. 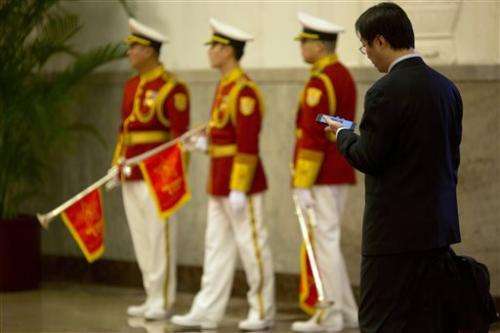 The Cyberspace Administration of China said the latest rules are needed to combat "username chaos." In a statement, the agency said users took inappropriate online names such as Putin and Obama, promoted "vulgar culture," committed fraud by pretending to be Communist Party officials or agitated for separatist causes. Operators will be required to assign an employee to review and keep track of user details to ensure they comply, the agency said. The government of President Xi Jinping has been calling on Internet companies since last year to "spread positive energy" online. In May, Sina Corp., which operates one of China's most popular Internet platforms, said it was penalized for allowing "unhealthy and indecent content" online. Sina was fined $815,000 and stripped of two of its licenses for Internet publication and online transmission of audio-visual programs. In a statement on its own Sina Weibo microblog account, Sina said it "firmly supports" the new measures. It posted instructions for users to alert censors to possible violators. China operates the world's most extensive system of Internet monitoring and filters. It blocks access to websites abroad run by human rights and other activists groups, as well as popular services such as the Google search engine and Facebook. Until recently, users of virtual private network, or VPN, services were able to skirt those restrictions to reach business tools operated by Google and other blocked sites. But in recent weeks, some companies that operate VPNs, which encrypt traffic to prevent censors from reading it, say tighter controls have disrupted their services. The government has not confirmed it was responsible for the blockage. But an official of the Ministry of Industry and Information Technology, responding to a question about it at a Jan. 27 news conference, said, "harmful information should be managed according to Chinese laws." Censorship also has eroded the popularity of social media such as Sina Weibo, which freelance journalists and independent commentators used to distribute news reports and essays. The number of users has declined since Beijing tightened control in 2013 over how such services could be used. The number of microblog users as of the end of last year declined to 249 million, some 7.1 percent, or 32 million people, below 2013, according to a state-authorized research body, the China Internet Network Information Center.